Proprietary Name: Nighttime Sleep Aid Maximum Strength What is the Proprietary Name? Non-Proprietary Name: Diphenhydramine Hcl What is the Non-Proprietary Name? 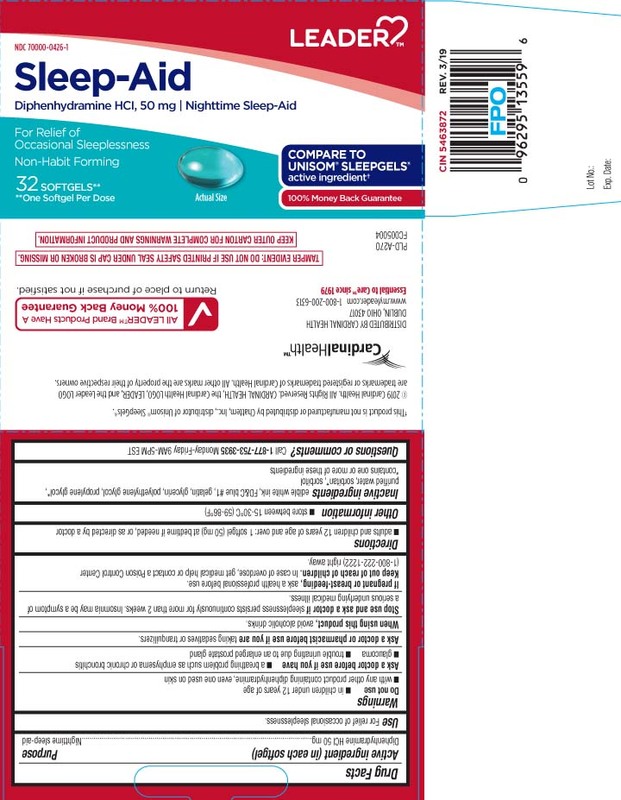 Nighttime Sleep Aid Maximum Strength with NDC 70000-0426 is a a human over the counter drug product labeled by Cardinal Health (leader) 70000. The generic name of Nighttime Sleep Aid Maximum Strength is diphenhydramine hcl. The product's dosage form is capsule and is administered via oral form. FDA Application Number: part338 What is the FDA Application Number?